Michelle Larson has already been called a lot of things: Captain Cannabis. Mary Jane. The pot czar. Minnesota's director of the office of medical cannabis has spent the last six weeks creating the job she was hired to do. She's endured a lot of interesting jokes since then. But to her, marijuana is serious business. People's lives are at stake. It's Larson's job to regulate a pot industry that aids the sick -- and no one else. She and a staff of about 10 people will oversee two medical marijuana manufacturers picked by a state panel. They'll also run the state registry, the list of people approved by doctors to buy the drug. It's never been done in Minnesota before. Larson, though, brings some compelling talents to the uncertainty. She was once a manager of a quasi-secret program to fight anthrax. She's a Ph.D. candidate in organizational leadership at the University of Minnesota who can disassemble and clean an assault rifle, a skill honed as a part-time security police officer when she served in the Minnesota Air National Guard in Duluth. She thinks it helps to have been a military cop and understand the law enforcement perspective on marijuana as it becomes legal in July. That work "has followed me throughout my career," she said. "It's helped with emergency preparedness. It helped with enforcement work that I did with local public health departments." Larson, 41, started her career in a more conventional way. She grew up in Wisconsin, went to college in Superior, Wisconsin, and got a job right out of school working for Douglas County Health Services. She inspected restaurants and hotels. She tested homes for lead, mold and indoor air quality. In 2002, she moved to Minnesota and worked for Lake County's public health office, a job that included wading into Lake Superior to take water samples to check if beaches were safe for swimmers. The terrorist attacks 13 years ago in New York and Washington fundamentally changed public health and required new thinking to prepare against intentional health threats, like the anthrax scare in 2001, she said. It brought her back to the Twin Cities to earn a master's degree in public affairs and work for the state health department, where she was a planner and later program director in Minnesota for the Strategic National Stockpile program. The Centers for Disease Control program, launched after a national anthrax scare in 2001, stores emergency pharmaceuticals. Part of her job included scouting for secure, secret locations. An experience like that may come in handy overseeing a medical marijuana industry expected to have about 5,000 patients next year and that will operate under lock and key. 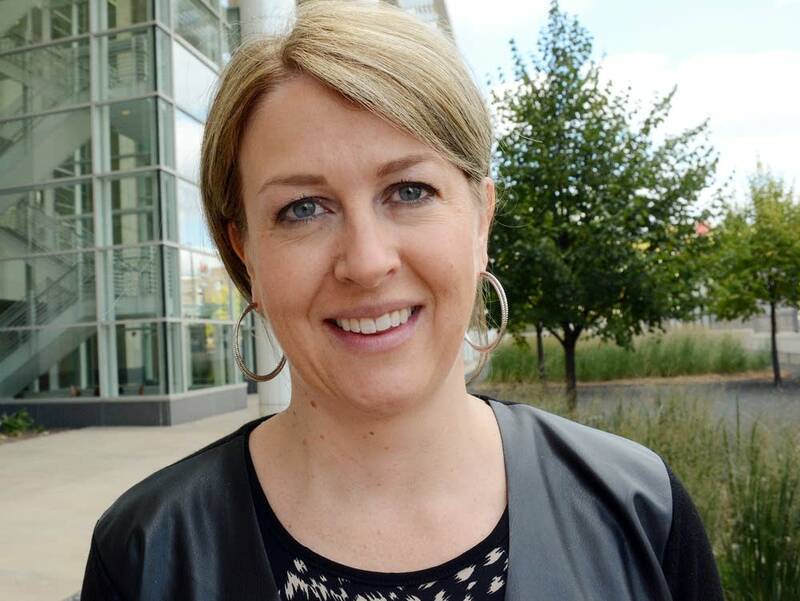 Larson's been working at the Minnesota Department of Health as assistant director for a division that funds local initiatives for things like promoting healthy eating and discouraging tobacco use. These days, though, she's been touring medical marijuana operations in Colorado and looking at other states' patient registries, looking for best practices. As she builds the operation in Minnesota, she's making it clear she's a regulator, not an advocate or a marijuana policy maker. "I really view myself more as a public servant in public health, implementing this program," Larson said. "The Minnesota Department of Health doing this in a very science-based way, very transparent way," she said. "It doesn't keep me up at night." Although the effort to legalize medical marijuana in Minnesota dates back many years, it gathered critical mass in the spring of 2014. Here are some of the key moments to the bill's passage into law and implementation. May 29 - Gov. Mark Dayton signs the medical cannabis bill into law. The bill allows patients with one of about 10 conditions to get a prescription to use marijuana in pill or liquid form by July 1, 2015. July 10 - Dayton and state lawmakers appoint 16 people to a task force on medical marijuana. The task force, which also includes two state legislators and some state health officials, holds its first meeting later in the month. Aug. 1 - The Minnesota Department of Health releases a draft of rules for medical marijuana manufacturers. Sept. 5 - Health department opens applications to be one of two medical cannabis manufacturers statewide. Each applicant must pay a $20,000 non-refundable fee. The department also finalizes its rules for manufacturers. Oct. 3 - Deadline for manufacturer applications. The health department received 12 applications from would-be growers. Nov. 1 - Deadline for the state health commissioner to announce whether the state can choose at least one manufacturer by Dec. 1. If not, the legislature can extend the December deadline by six months. Dec. 1 - The state health commissioner must register two manufacturers by this date, unless lawmakers grant the six-month extension. Each manufacturer will be allowed to operate four dispensaries across the state. The health commissioner must also start reporting to prospective patients on recommended marijuana dosage by this day. Jan. 15, 2015 - Deadline for state departments to report on how much the medical cannabis program will cost them. Late winter/early spring 2015 - Outreach to potential patients and providers begins. March 2015 - All of the roughly 10 people in the Office of Medical Cannabis must be hired. Late May/early June 2015 - State begins accepting applications from patients interested in getting medical marijuana. Health officials have said they expect about 5,000 people to register. July 1, 2015 - Medical marijuana available to registered patients. Under the current law, this deadline can be extended by six months if a manufacturer says it can't provide medical cannabis by July.